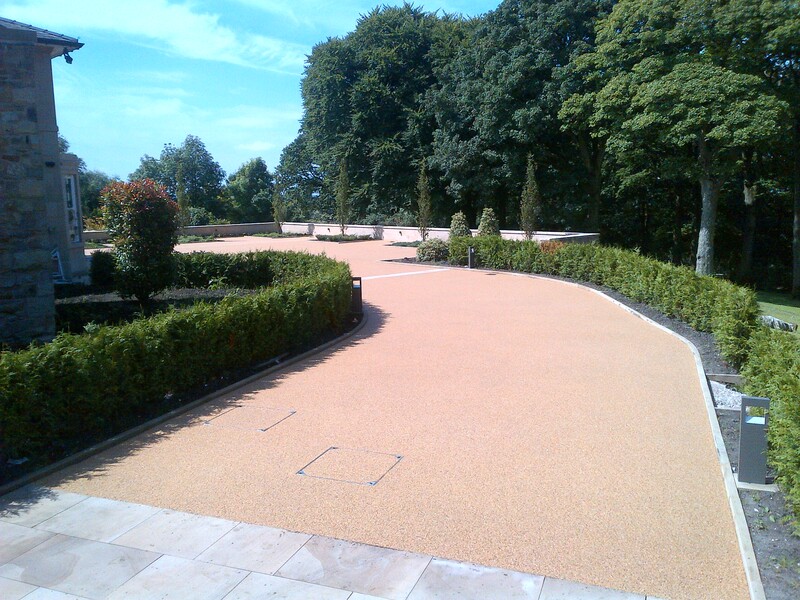 Resin Bound is a hard wearing, Long-lasting and low maintenance porous (SUDs compliant) surface using a range of natural and recycled aggregates, as a result provides a smooth, seamless finish. 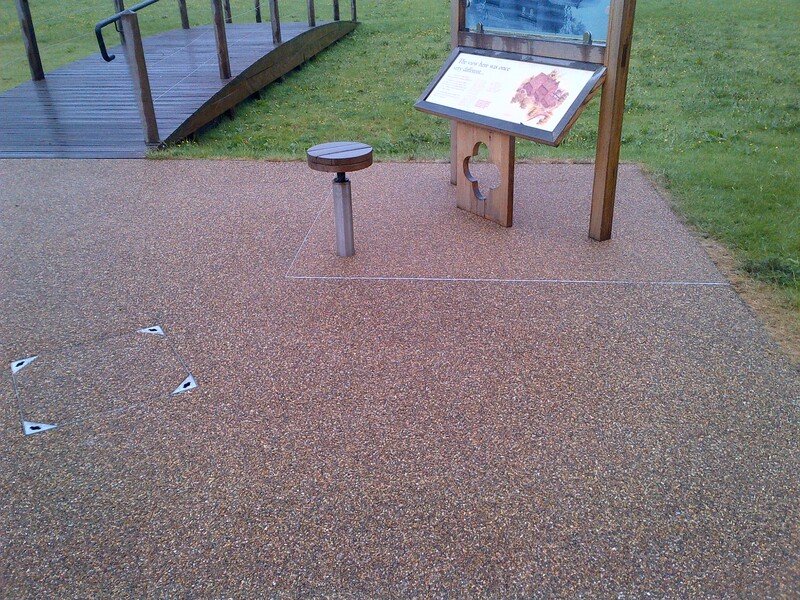 The Resin bound system is created by using a clear UV stable resin binder to bind together a wide range of natural or coloured aggregates, which are mixed together in a forced action mixer. The mix is then evenly spread and trowelled to give that smooth even surface. Resin bound offers an attractive alternative to tarmac, concrete, loose gravel and block paving, which is flexible and resistant to cracking. 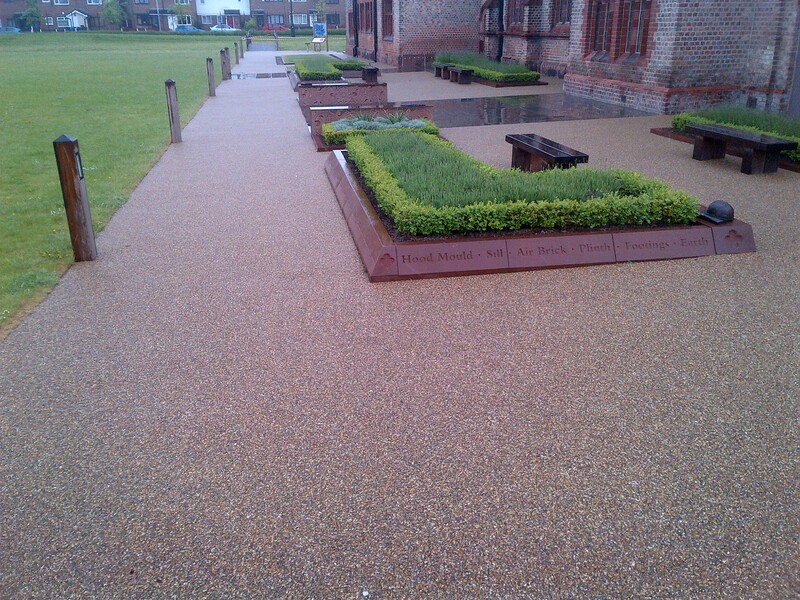 Resin bound can be applied to existing or new hard surfaces like asphalt and concrete or any other stable substrates. 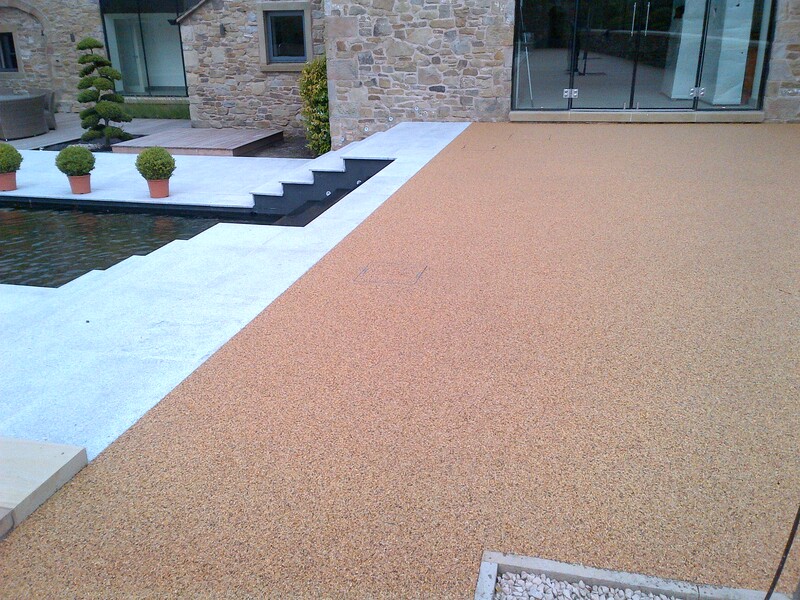 Resin bound provides a smooth, decorative finish which is suitable for paths, walkways, pavements, patio areas, driveways, car parks and treepits. 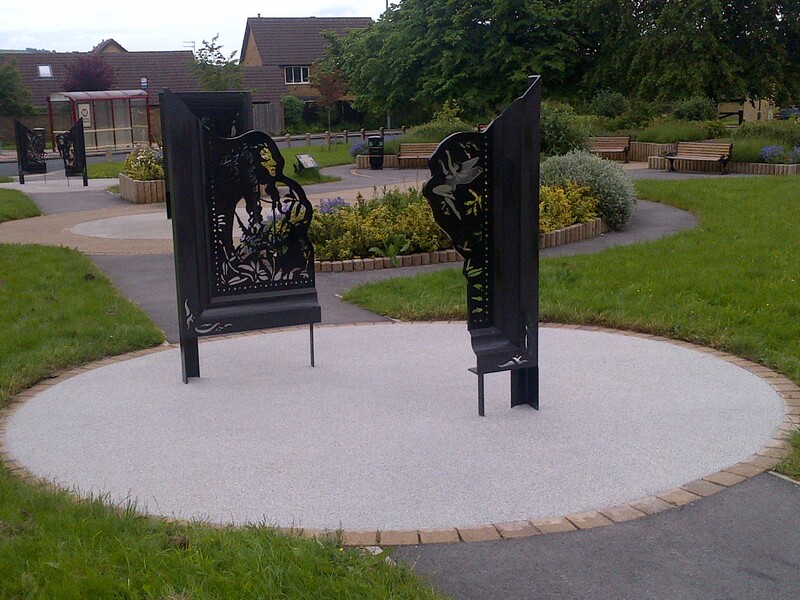 Resin Bound can incorporate logos, patterns and designs which can be specifically designed and installed for each project, therefore creating bespoke installations for individual customer needs. 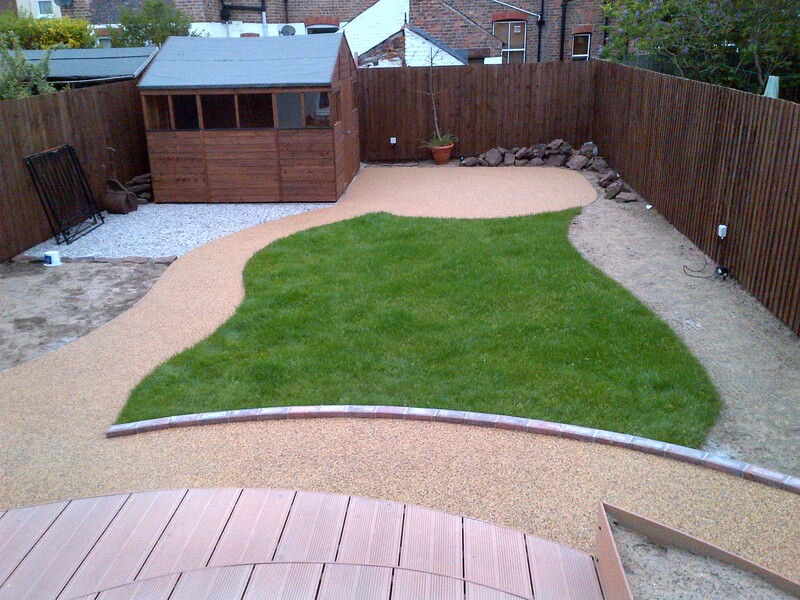 Once installed your decorative aggregate surface comes with a 10 year guarantee. The 10 year guarantee covers cracking, damage as a result of oil spillage or contamination, UV degradation, colour change and frost damage.